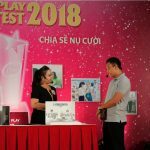 This year, AEON 1% Club Foundation continues to grant scholarships to 60 students with a total value of more than 400 million Vietnam dong. 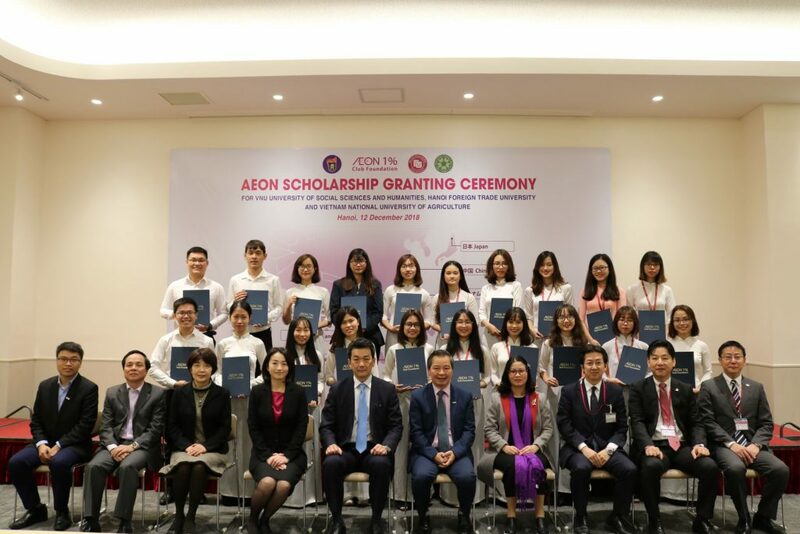 Beside the students from Hanoi University of Social Sciences and Humanities, Hanoi Foreign Trade University are the universities that have long term cooperation with the AEON 1% Club Foundation, the ceremony also welcomes students from the Vietnam National University of Agriculture. At the ceremony, representatives of 3 universities presents their dreams in the “My dream” presentation. They also have the chance to exchange and discuss with the guests from Embassy of Japan, representatives from AEON 1% Club Foundation and lecturers from universities, giving them the opportunity to discover more about their future and their dreams. AEON Scholarship is one of three programs implemented by the AEON 1% Club Foundation. This is a typical activity within the framework of the program “promoting friendship and goodwill among countries”. 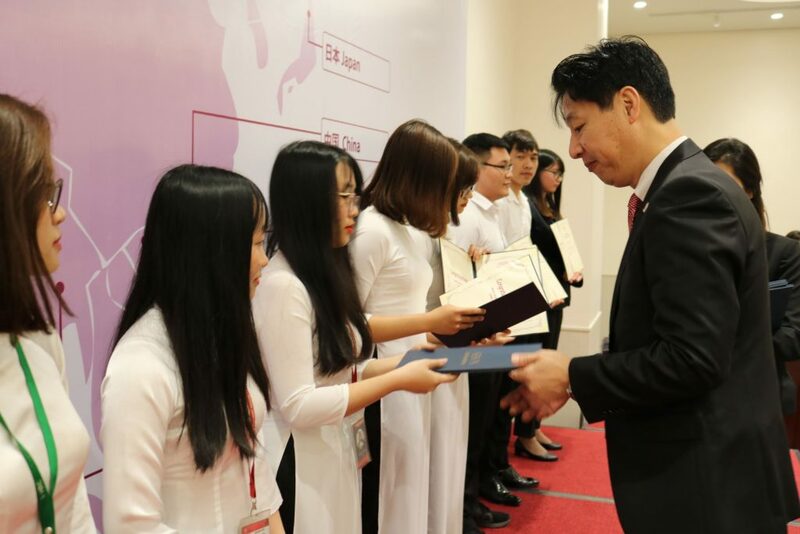 This program started in 2006 with the expectation that students who receives scholarship will become the bridge between Japan and other countries in the region. 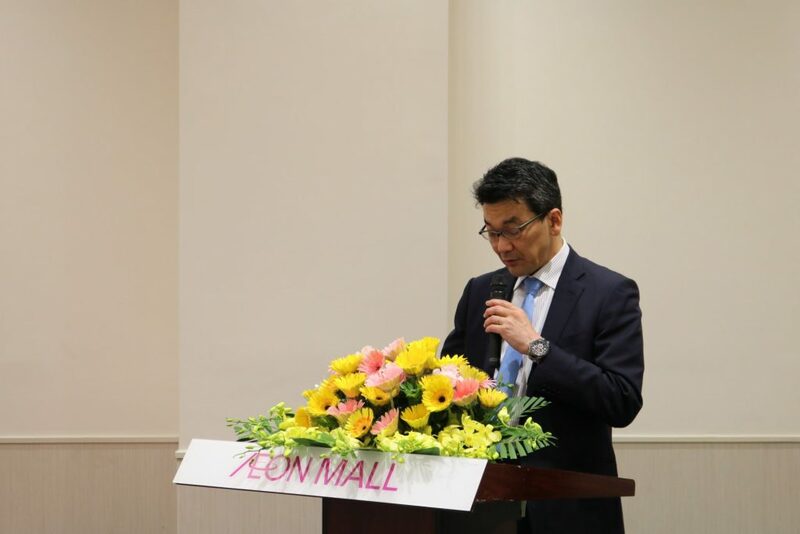 In Vietnam, AEON scholarship has been granted to 746 students in Hanoi from 2012 and in Ho Chi Minh City from 2011. 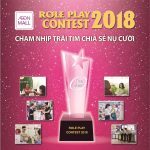 AEONMALL Vietnam – as a life design developer – always accompanies with local community in creating and fostering lifestyle. 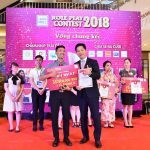 Together with AEON 1% Club Foundation of AEON Group, AEONMALL Vietnam is proud to contribute to the programs which are meaningful for the development of the community in general and the young generation in particular, support students’ dreams realization and hope that they will develop themselves and become excellent leaders in their respective fields of specialization after graduation.